Oliver Peoples Vintage is a new collection started by the brand&apos;s creative director, Larry Leight. 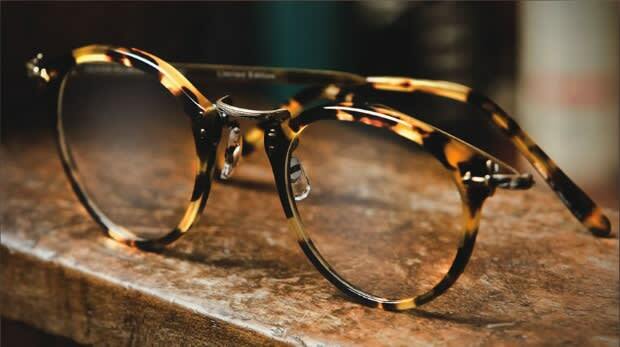 He was inspired by family, friends, and loyal customers to explore the archives of Oliver Peoples and rediscovered iconic styles that have defined the brand throughout its history, in its original glass lenses and rare shades. Leight selected 3 classic styles, and reached out to the original Japanese factory that initially produced them to give the specs its original craftsmanship and integrity. Among the styles selected were the OP-505, a model from the brand&apos;s 1987 debut collection made famous by its metal temple and bridge detailing; the OP-1955, known for its contrating temple and frame colors; and the O&apos;Malley, one of the brand&apos;s most recognizable fames, inspired by former LA Dodgers President, Peter O&apos;Mally. The Oliver Peoples Vintage collection is available at Oliver Peoples flagships throughout the country and prices run from $350-$395.